We will explore Mary's openness/receptiveness to God's grace. Ways we open ourselves to receive God's grace through prayer, meditating/reflection on the word of God, our thoughts, actions and deeds in responding to those we meet/encounter on any given day. How God's grace assists us in our faith journey. 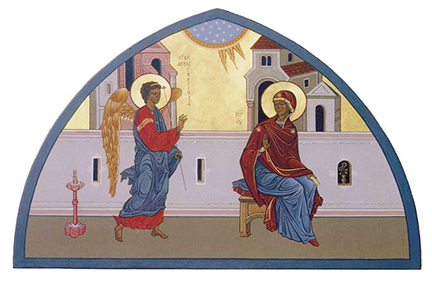 The first session will offer a review of the Annunciation and Mary's openness and response to Gabriel's message. The afternoon session will offer discussion and reflection on how we open ourselves to God's messages.